The quick answer to this question is, "Friday the 13th is NOT unlucky." 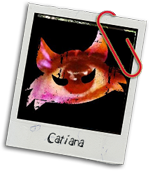 ☺ Friday the 13th happens when the 13th day of the month falls on a Friday; the date happens anywhere from one to three times a year. For centuries and centuries, superstitious people have lived in dread of the date, believing that it would somehow bring them terrible misfortune or even death. Officially, the fear of Friday the 13th is called "paraskevidekatriaphobia". (Try saying that three times fast!) The name comes from three Greek words which are each translated as "Friday" (Paraskeví), "thirteen" (dekatreís), and "fear" (phobia). Those who suffer from this phobia are sometimes so freaked out by Friday the 13th that they can't even leave their houses or do their normal routines. As believers in a sovereign God, we know that dates have absolutely nothing to do with predicting what will happen. God is in control at all times—whether it's the first day of school, your birthday, Friday the 13th, or the last day of all time. Psalm 115:3 says, "Our God is in the heavens; he does all that he pleases." Even Job, a man who could be considered seriously "unlucky" said of God, "I know that you can do all things, and that no purpose of yours can be thwarted" (Job 42:2). Fear of Friday the 13th is a superstition that has many different origin stories, none of which anyone can really settle on. 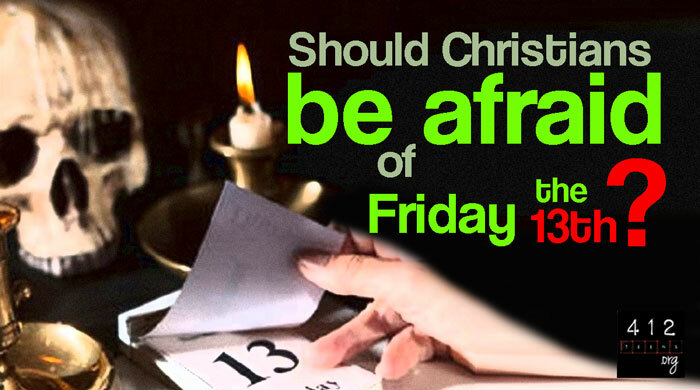 Believe it or not, there are even some ways that the Friday the 13th superstition has been connected to Christian beliefs and events. Weird but true! According to numerology, twelve is a "perfect" number, based on the facts there are twelve months in a year, twelve signs in the zodiac, twelve hours of the clock, twelve gods of Olympus, even the twelve tribes of Israel and twelve apostles of Jesus, and on and on. Then you come to thirteen, which is looked upon as irregular, or messing up the perfection of twelve, thus making it unlucky. Another superstition goes that thirteen is unlucky because at the Last Supper (Matthew 26-27), there were thirteen people sitting at the table and one of them (Jesus) was arrested and crucified. So the legend goes that having thirteen people around a table will make one of those people experience misfortune or even die within a year (or so they say). Then you can even add to that the fact that Jesus died on a Friday, and that also makes for a bad thirteen-Friday combination. Speaking of books, the significance of Friday the 13th has not been lost on book publishers and movie moguls. Many have taken advantage of the fact that people have very strong feelings about Friday the 13th and have capitalized on that to make a mint—or try to anyway. For example, the 13th book in A Series of Unfortunate Events by Lemony Snicket (Daniel Handler) was released on Friday, October 13, 2006. The classic heavy metal group called Black Sabbath released their debut album on Friday the 13th in October 1970. Then we've got the Friday the 13th movie franchise, four of which hit theaters on Friday the 13th dates. (Though the other eight movies were strangely released on other dates, which kinda makes you wonder, doesn't it?) More recently, the film 2012, which was basically about how the end of the world was supposed to happen on December 21, 2012 due to a Mayan prophecy, was released on Friday, November 13, 2009. Yeah. I guess we know how that one turned out. Superstitions of any kind should have no place in the mind or heart or life of a follower of Christ. Our God is in total control and nothing happens without His go-ahead (Isaiah 46:8-11). Nothing anyone says or believes will change what He has planned and willed for mankind (Proverbs 19:21). By believing in superstitions or old wives’ tales or whatever and changing the way we live our lives or planning ways to get around superstitions, we open the door for the enemy to enter into our thoughts, causing us to doubt God's sovereignty. But it doesn't have to be that way! James 4:7 says to "submit yourselves, then, to God. Resist the devil, and he will flee from you." First Peter 5:8 says that Satan "prowls around like a roaring lion looking for someone to devour." Don't let that someone be you! Friday the 13th is NOT unlucky. As believers in a sovereign God, we know that dates have absolutely nothing to do with predicting what will happen. God is in control at all times—whether it's the first day of school, your birthday, Friday the 13th, or the last day of all time. Psalm 115:3 says, "Our God is in the heavens; he does all that he pleases." Superstitions of any kind should have no place in the mind or heart or life of a follower of Christ. Our God is in total control and nothing happens without His go-ahead (Isaiah 46:8-11). Nothing anyone says or believes will change what He has planned and willed for mankind (Proverbs 19:21).